Far Cry 4 Is Coming. What Do You Want Them To Change? Surprising absolutely no one, on Friday Ubisoft's Tony Key told Gamespot that the successful, critically acclaimed open-world shooter Far Cry 3 is definitely getting a full-fledged follow-up. Which, naturally, raises all sorts of questions. Ubi's not sharing details—we don't even know for sure that it'll be called Far Cry 4—they just say a new game is coming and that they'll have "more on that soon." So, let's fill in some of the blanks on our own. What would you like to see stay in the next game? What could they get rid of? I'd be fascinated to see what they could do with more than one playable character, since the Far Cry series seems well-suited to that sort of thing. I hope they can make co-op missions that take place on the single-player map, and aren't rubbish. I wouldn't mind if they keep the tropical setting, but if they decide to change things up I hope they'll hit something as instantly iconic and distinctive as Far Cry 2's African setting. I'd love to see respawning guard posts, or at least a continuing presence of danger despite player progress, and some more ridiculous abilities—maybe a jetpack?—wouldn't make me mad. And please, guys, add a realism mode with degrading weapons, no HUD, an in-game map and more of that great stuff from Far Cry 2. You don't have to make it mandatory, but I'd love it to be an option. I turn it over to you. 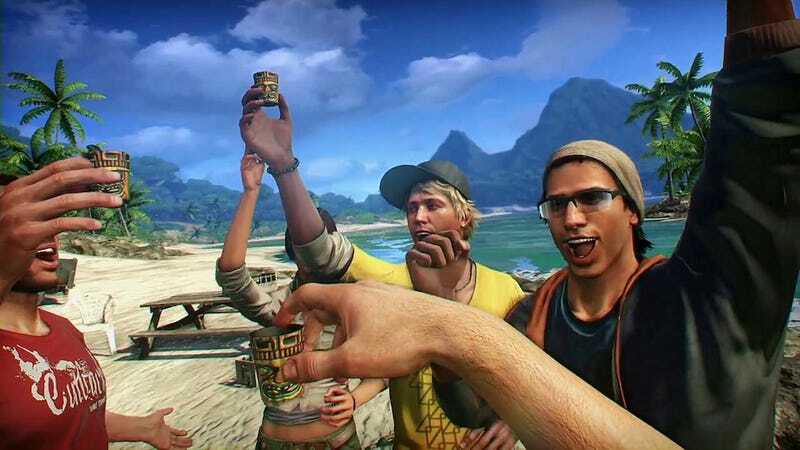 What do you think the next Far Cry game will look like? What features do you hope Ubisoft keeps, and what do you hope they get rid of? Have a shot of Jäger, put on some M.I.A. and let us know what you think.